UEFA Europa League second favourite Tottenham is over the odds to do a job on Dnipro in the first leg of the tie between the English and Ukrainian teams in Dnipropetrovsk. To reach the last 32 of the UEFA Europa League tournament Dnipro did not have to do anything special. Dnipro found itself in a group alongside Fiorentina and two minnows, including Portuguese side Pacos Ferreira whose world has fallen apart spectacularly since it qualified for European action by finishing third in its domestic Primeira Liga. It is significant that Dnipro failed its two assignments against Fiorentina, losing 1-2 in Dnipropetrovsk and going down by the same scoreline in Florence. Also interesting is that Dnipro has not beaten any of the three sides that are above it on the Ukrainian Premier League ladder this term. Tottenham is travelling pretty well under Tim Sherwood after parting company with Andre Villas-Boas. Tottenham has played 12 matches across all competitions under Sherwood for seven wins, two draws and three losses, including away defeats of Manchester United, Newcastle and Swansea. It remains to be seen if Sherwood has what it takes to take Tottenham to the next level – making a genuine assault on the English Premier League title and winning a major piece of cup silverware – but the early signs are positive. 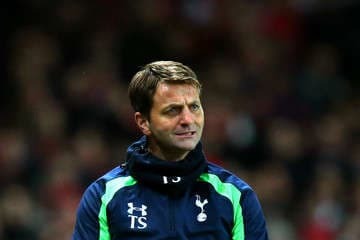 And Tottenham’s attitude under Sherwood is very different to that of Spurs under Villas-Boas, which is one of the reasons why one is not deterred from backing them to win on the road in Europe. BetVictor is taking a chance in offering odds of 2.70 about Tottenham defeating Dnipro in the Ukraine. Lyon is slightly shorter odds to beat Chornomorets and Valencia is slightly longer odds to get the better of Dynamo Kyiv. One believes that Tottenham represents the best value of the three teams that are playing away to Ukrainian Premier League sides. Lazio is surprisingly priced at odds of 1.57 with Coral to build a first-led advantage over Ludogorets in the UEFA Europa League tie between the teams from Italy and Bulgaria. One thinks that bookmakers are reading too much into Ludogorets having won five and drawn one of its six games in the tournament this season. Lazio is going to pose a tougher test than PSV did in the UEFA Europa League group stage and then there is the small matter of how Ludogorets fared against Basel in the UEFA Champions League preliminaries. Ludogorets lost 2-4 at home to Basel and subsequently went down 0-2 in Switzerland. 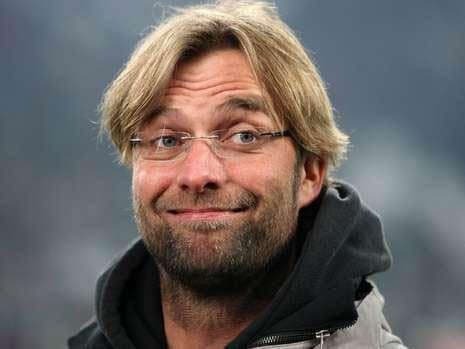 That same Basel side finds itself in the UEFA Europa League having failed to make the UEFA Champions League last 16. Also working against Ludogorets is that it has been starved of competitive football for a couple of months, reducing to playing friendly matches while the Bulgarian A PFG has its winter break. Ludogorets has played one meaningful game since Christmas and that was only last weekend. Finally, Juventus has the look of a rock-solid UEFA Europa League home banker versus Trabzonspor. Stan James is quoting odds of 1.22 about the Italian Serie A leader beating its Turkish Super Lig opponent and, even at that sort of price, one thinks that there is mileage in backing the Old Lady. Juventus is unbeaten at home this term, winning 14 of its 16 matches across all competitions and slipping up only twice when drawing with Galatasaray and Real Madrid, two games in which the Old Lady led. Trabzonspor’s away form does not hold a candle to the home form of Juventus. Trabzonspor has gone seven road games without a win, losing four of them and drawing a couple of them 0-0. Italian Serie A is not what it used to be but Juventus, as the division’s runaway leader, is entitled to be very short odds to beat the Turkish Super Lig’s ninth-ranked team given all the statistics on show.